The first comet observed to be orbiting a planet rather than the Sun, Comet Shoemaker-Levy 9 was discovered by astronomers in March 1993. Sixteen months later, it provided the first direct observation of the collision of two solar system objects not involving the Earth, when fragments of the comet collided with Jupiter's southern hemisphere. The impact resulted in prominent scars that some said were more easily visible than what prominent feature of the planet? 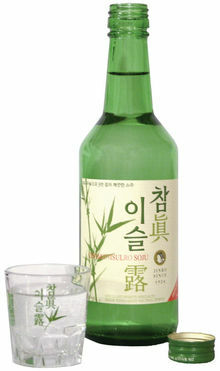 In Korea, the tradition of brewing alcoholic beverages, known as ju, is a long and proud one. These beverages are generally made from rice, a major Korean crop. The many varieties of ju include liquors and fruit, flower, and medicinal wines. One variety, called ihwaju, or "pear blossom wine," is brewed with rice malt fermented during the pear blossom season, a process that often produces a liquid so thick that it must be consumed in what way?